The Hope College Great Performance Series will open its season with the DePue Brothers Band on Friday, Sept. 14, at 7:30 p.m. in Dimnent Memorial Chapel. 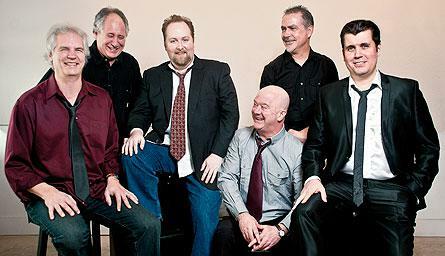 The DePue Brothers Band is bluegrass band composed of classically trained musicians. The performers merge their technical skills with a highly creative joy to create a new sound, merging genres such as classical, bluegrass, Americana and folk. Featuring two brothers of legendary DePue family, along with colleagues from the Philadelphia Orchestra, the ensemble is blurring the lines of musical genres. The band began performing and recording in 2004. The group’s CD, “Weapons of Grass Construction,” mixes genres and gives a direct nod to the band’s bluegrass tradition and classical training, while adding a deeper infusion of rock and blues. From original tunes to “Orange Blossom Special,” the DePue Brothers Band is known for high-energy shows. Individual tickets are $18 for regular admission, $13 for senior citizens, and $6 for children 18 and under. Individual and season tickets are available at the ticket office in the main lobby of the DeVos Fieldhouse, which is open weekdays from 10 a.m. to 5 p.m. and can be called at (616) 395-7890. Additional information may be obtained online at hope.edu/gps. The small college cross country season begins Saturday (Sept. 1) with the traditional Vanderbilt Invitational hosted by Hope College. The meet will be run at the Ridge Point Community Church on Holland's southeast side beginning at 10:30 a.m.
Hope College senior nursing major Christina Bello of Milford is one of only 15 undergraduate nursing students nationwide to receive a 2012 American Psychiatric Nurses Association (APNA) Janssen Student Scholarship.